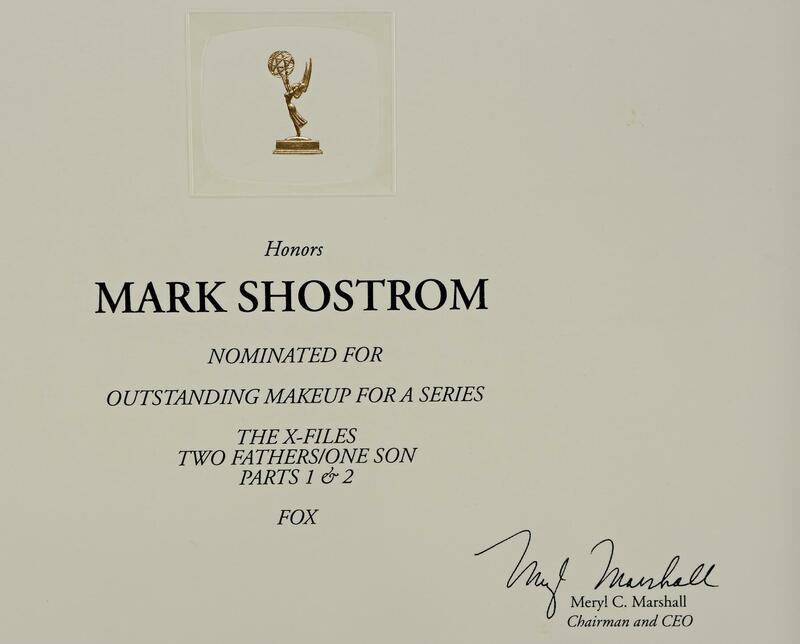 Mark Shostrom’s Emmy nomination certificate for Outstanding Makeup for a Series for the episodes ‘Two Fathers/One Son Parts 1 & 2’ of the sci-fi drama series The X-Files. 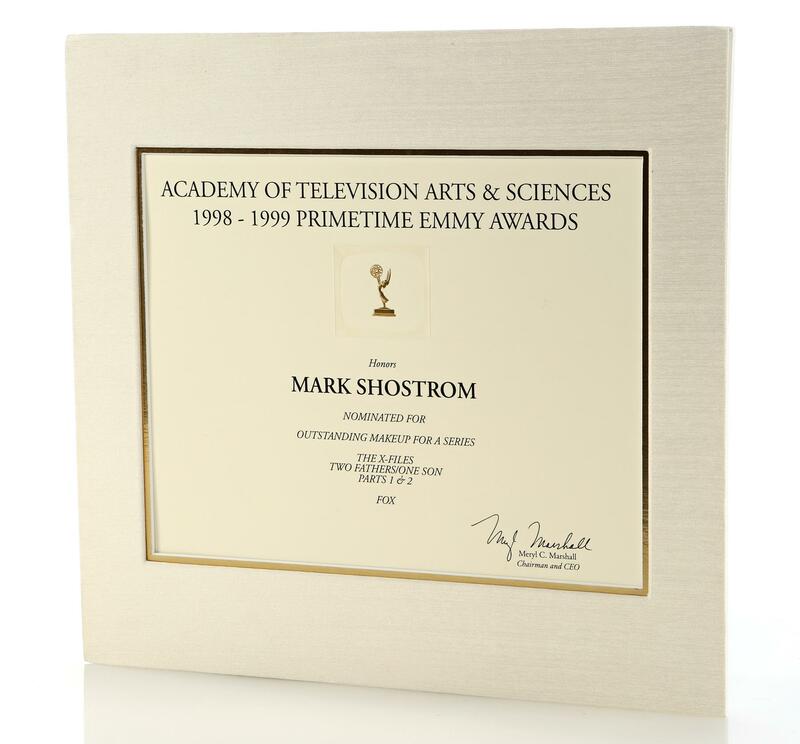 The certificate is printed on ivory color paper embossed with a small gold Emmy Award statuette. 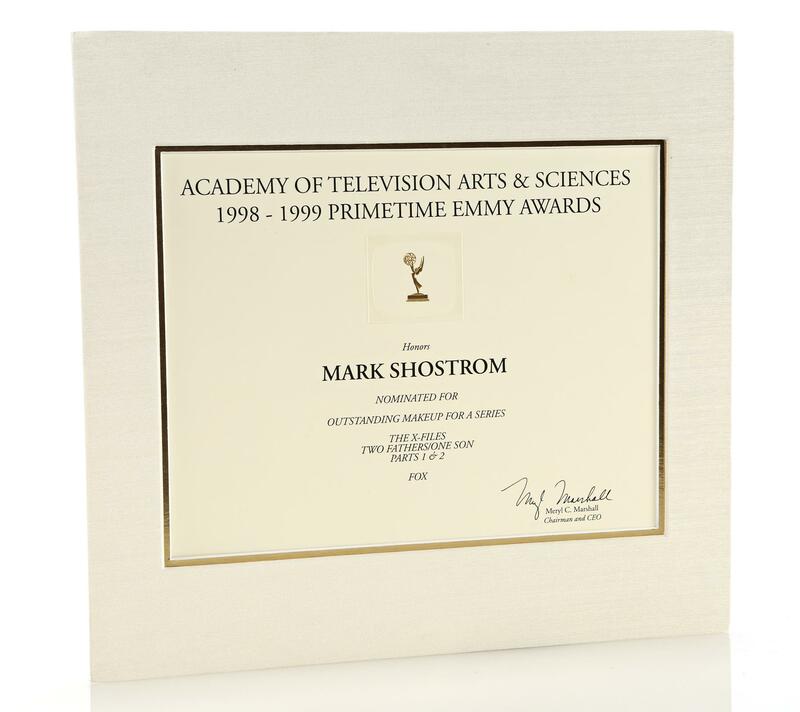 The certificate reads ‘Academy of Television Arts & Sciences 1998-1999 Primetime Emmy Awards’ and features the printed signature of Emmy President Meryl C. Marshall. 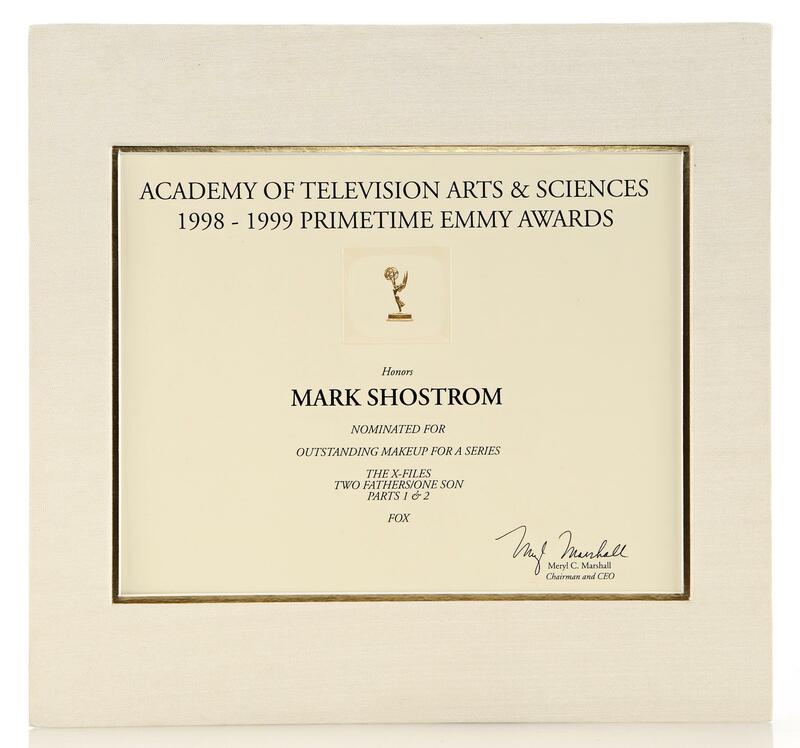 It is framed with a gold-trimmed matboard and an ivory colored matboard supported by foam core board. 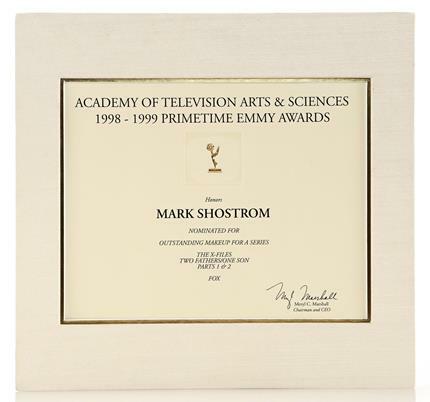 The framed nomination is in very good condition overall. 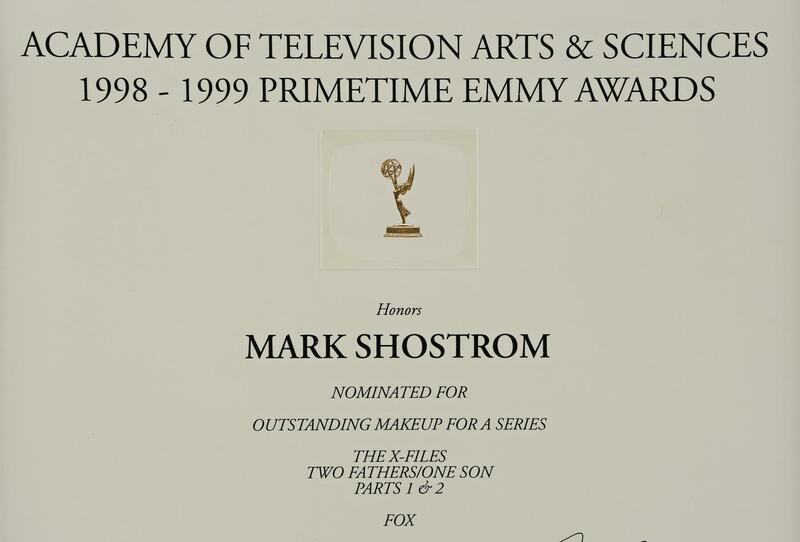 Mark Shostrom went on to win in this category in 1999.